Order By Dec. 19th For Christmas Delivery! This merry collection arrives in a flash with a FREE Priority Mail Upgrade. 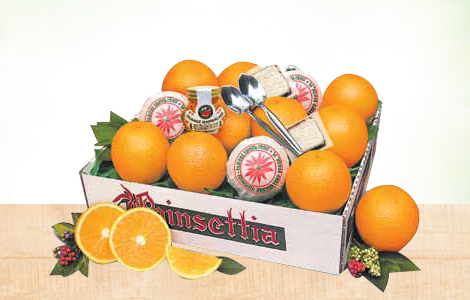 We include our signature Navel Oranges, delicious Chocolate-Dipped Coconut Patties, scrumptious Orange Marmalade, and two Stainless Steel Fruit Spoons. Regular shipping charges still apply. Out of Season and no longer available.